Despite my wishes otherwise, fall has arrived. That means I’ll soon be craving pumpkin this and caramel apple that. 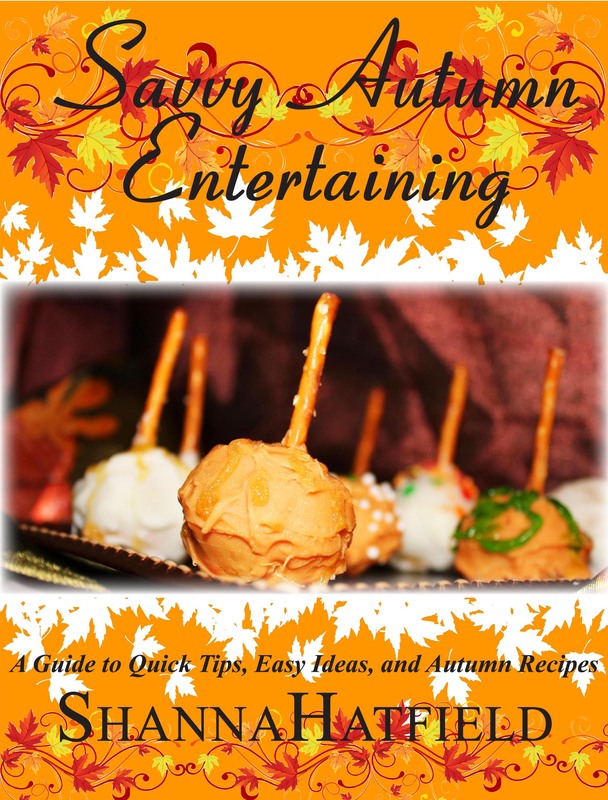 If you love the fall season (like I normally do), check out Savvy Autumn Entertaining. It’s full of autumn recipes, decorating ideas and party tips! Anyway, if you are looking for some fun fall recipes, entertaining tips and party ideas, I invite you to download Savvy Autumn Entertaining. You can find it on Amazon, Barnes & Noble, or you can download a PDF version from my writing website.